Former police officer Abigail Mackenzie has made a fresh start as a beekeeper and farmer in picturesque Las Flores, California—but she never suspected her new hometown would prove to be abuzz with murder . . .
Only hours after Abby’s free-spirited friend, Fiona Mary Ryan, owner of Ancient Wisdom Botanicals, missed their lunch date, her body is found in a burning car—a tragic accident until the coroner’s report points to murder. Driven by her loyalty to her friend, and her deeply ingrained skills as a trained investigator, Abby sorts through suspects who seem to be sprouting up everywhere. Luckily, Abby isn’t afraid to get her hands dirty to smoke out a killer . . . I am excited to travel back to Las Flores, California for my second visit to the Henny Penny Farmette owned by Abigail Mackenzie. After leaving the police force Abby has become a farmer/beekeeper but she still does private investigations on the side. She is also remodeling her farmhouse as time and money permits. When her friend Fiona fails to show up for lunch at Abby’s farm, first she get a little testy but then she gets worried. Kat, her former partner, was at the farm for lunch too, but she is called away for a car fire, their friend Fiona appears to be the victim. Abby can’t help but get involved. When the investigation leads to a commune outside of town Abby get caught in a very dangerous situation. As if she doesn’t have enough bees in her bonnet her ex boyfriend, Clay has strolled back into town and expects to pick their relationship up right where they off. Bee-leive me she really doesn’t need to deal with this guy especially because she may have feelings for a couple of other men around town. I have become a huge fan of Abigail Mackenzie. She knows everyone on the police force and they really don’t seem to mind too much when she helps them clear their cases. She is very observant and insightful but she sometimes forgets she no longer has a gun to protect herself. Nothing seems to hold her back. Back in the day, she would have been called a “gutsy broad”. Her love life is a bit of a mess but she really in too busy to evaluate that right now. Her growth throughout the story was a pleasure to see. I also am head over heals crazy about her dog. All the other characters are very fleshed out and bee-lievable. Good or bad I had a good grasp of who they were and how they fit seamlessly into the story. 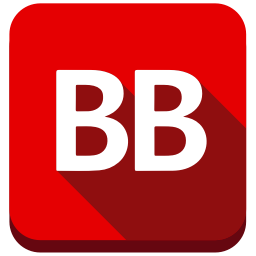 Meera Lester writes in a way the makes you almost feel as you are watching the mystery play out on television. Visualization was super easy. I was engaged in the story from the beginning to the end. The mystery was well conceived and there were plenty of suspects. Some of the clues were of the red herring variety but I enjoyed following all the clues very much. The pace was perfect for me. I appreciated the farming tips and recipes that started each chapter as well. In the e-book advance review copy they fell into place a bit clumsily, but I am sure they shine in the print editions. 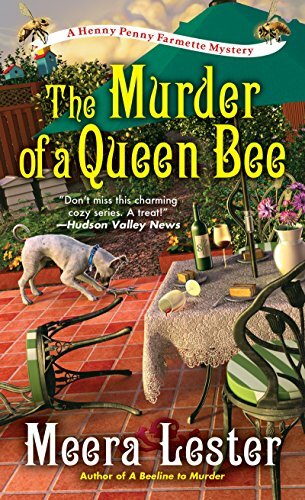 I found The Murder of a Queen Bee to “bee” a first-class mystery, full of interesting characters, tempered with humor and just a little romance. I am really excited to read the next book in this series. A Hive of Homicides hits stores later this month.